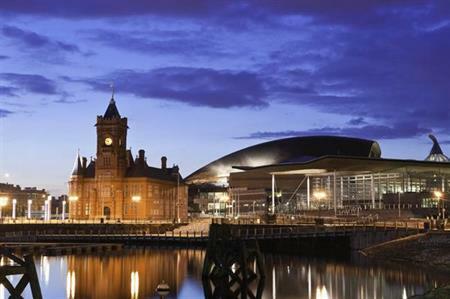 With the Rugby World Cup 2015 less than a year away, C&IT takes a look at some the best incentive ideas for groups in four of the host cities: Cardiff, Gloucester, Leeds and Leicester. Bay Island Voyages offers a one-hour coastal cruise along Cardiff Bay, with boats able to accommodate a maximum number of 45 people. The boat trip takes groups out of the bay and across the Bristol Channel, which is world renowned for its vast tidal range. In flat calm waters, the boat can reach F1 speeds making this the ideal incentive for a thrill-seeking group. Situated in the Cotswold countryside and less than 25 minutes outside Gloucester, Kingscote Barn offers a range of outdoor team building activities including quad biking, clay pigeon shooting and blind Land Rover driving. Meetings and conferences can easily be facilitated, with the Kingscote Suite holding up 80 delegates in a range of settings and three further breakout rooms holding up to 40. Off Limits Corporate Events provides an incentive treasure hunt programme that gives delegates a chance to explore the West Yorkshire city in an interactive and engaging way. Armed with digital cameras, maps and a set of challenges, groups can soak in the atmosphere of a city with a vast rugby heritage whilst strengthening team bonds. A popular venue amongst brands including Walkers Snack Foods, Mars and Powergen, Leicester Outdoor Pursuits Centre offers a range of training and development experiences for corporate groups from sailing, climbing and ziplining. The Club Room can also be hired for meetings to deliver key messages to the team pre and post activities.